Every little girl has the dream to become a prima ballerina On today's ever-changing cultural stage, ballerinas come in all shapes, sizes, colors, and abilities. To celebrate the beauty of black ballerinas, here is a lush photographic picture book with a brilliant poetic narrative, brought to young readers by two amazing talents. The minimal text balances the harmony of the photos and demonstrates the joy of movement. Noted poet Marilyn Nelson is the author of several highly acclaimed and award-winning books for young readers. CARVER: A LIFE IN POEMS received a Newbery Honor medal, a Boston Globe/Horn Book Award, and a Coretta Scott King Honor citation. A WREATH FOR EMMETT TILL, also a book told in poetry, won a Printz Honor Award, a Coretta Scott King Honor, and a Boston Globe/Horn Book citation. Ms. Nelson is a multiple National Book Award finalist. Her forthcoming novel, PEMBA'S SONG, will be published in 2008, and her picture book, BEAUTIFUL BALLERINA, will publish in 2009 (both with Scholastic). 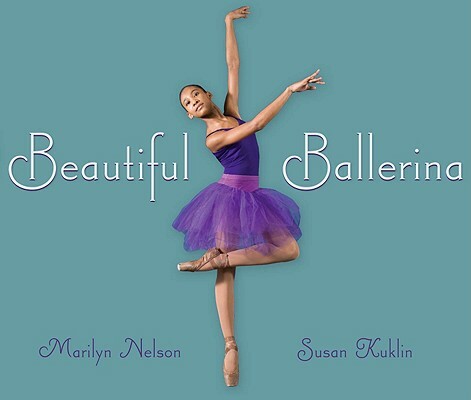 Susan Kuklin, the author and photographer of many books for children and young adults, has always been passionate about dance. Her book DANCE, WITH BILL T. JONES received several starred reviews, and was hailed by The New York Times as ..".a child's catalogue of pleasures and possibilities." Ms. Kuklin's book REACHING FOR DREAMS: A BALLET FROM REHEARSAL TO OPENING NIGHT was an ALA Best Book for Young Adults.